Fantastic fun, Murder Mystery events can be based around almost any group or theme. From dinner parties, pub get together's and a few hours of fun to a full weekend in a luxury hotel murder mystery events can be designed for your group. Fantastic fun for many groups including stag dos and hen parties, birthdays, family holidays and corporate events. Murder Mystery events can be based around almost any group or theme. Murder Mystery events are available throughout the UK and can be run at almost any restaurant, hotel or pubs venue, either one of your choice, or we can make some great suggestions if you prefer. 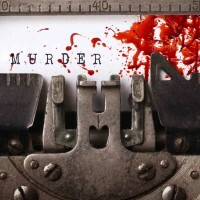 We can create a murder mystery evening or weekend to include plots and characters to suit any audience and occasion. From dinner parties, pub get together's and a few hours of fun to a full weekend in a luxury hotel murder mystery events can be designed for your special event.